Kids Haircut (ages 1-12) $20-$35 depending on amount of hair and blow-dry. We offer the best ammonia FREE hair color in Gettysburg. Redken’s Chromatics oil based color and Redken’s shades EQ are PPD & PTD, ammonia free permanent and demi permanent hair color. The latest vogue in hair color industry and consumers have started showing more affinity towards it as they consider it less damaging. 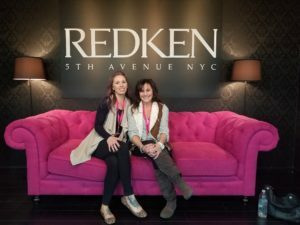 Redken revolutionized, redefined the mindsets of women by busting the traditional myths surrounding hair color and educating them about the truth behind hair color. Have an allergic reaction to hair color? Ammonia free color provides 100% gray coverage. Modern women are smart and savvy. 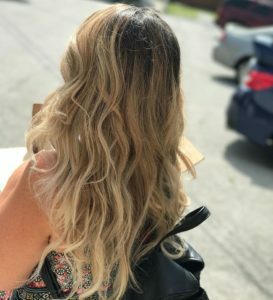 Balayage/Ombre $220+ includes the blow out. 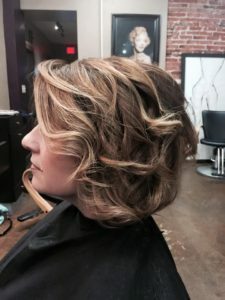 The blonde bombshell package is a service that takes brunettes or redheads though a transformation journey. During this service you will be transformed to the blonde side with specialized lightening techniques. This could take multiple visits depending on starting color, health of your hair and the desired result. This service takes your hair to ultimate blonde shade. It is a double process 5 hour trip to the salon. This could take multiple visits depending on starting color, health of your hair and the desired result. This service includes a deep conditioning treatment. This service is for those wanting a vibrant red hair color. Included in the package is a filler and conditioning treatment. Go for the exotic look with the deep shiny brunette hair. This service includes deep conditioning treatment & color filler. This specialty technique will spruce up your brunette shade and outshine the dull drab brunette tones. Hair extensions are great for those who want length, volume or a pop of color. 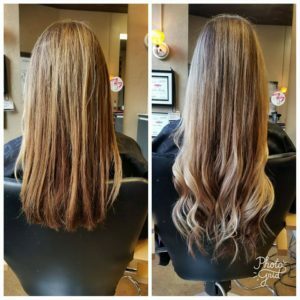 We provide 2 types of cold fusion extensions. Cold fusion is a method of applying extensions in a safe way without heat. Lash lifting is a permanent change to your lashes until they grow out. This service takes your naturally straight lashes and curls them up and out. Think of when you use your eyelash curler, only a more permanent ordeal. Tinting is when you color that lashes black after getting them lifted. This part of the service lasts about 2 months.